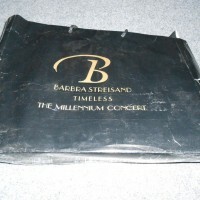 Barbara Striesand’s Millenium concert at the MGM Grand in Las Vegas on New years Eve 1999 was her first performance in 7 years and promoted as the last performance ever for the superstar singer who suffers from severe stage fright. 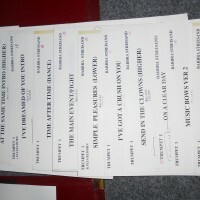 The massive demand for the show encouraged her to add another show and eventually take the show on tour in 8 more performances around the world. 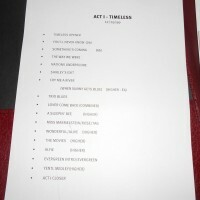 The perfectionist singer insisted that every word of the show be scripted to ensure a totally flawless performance. 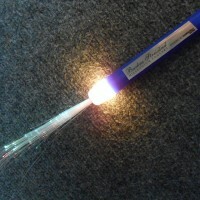 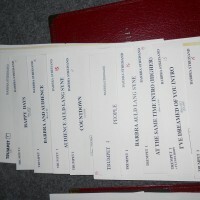 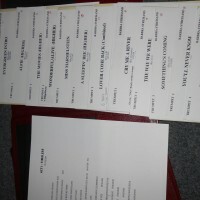 Dozens of edits of the show were made over the month prior and up to the day before the historical show. 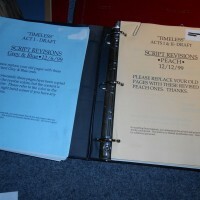 The evolution of the show can be seen in the 10 script revisions included in this collection. 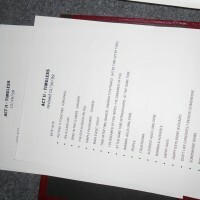 The attention to detail is amazing. 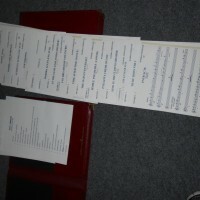 Every song, word and action is scripted. 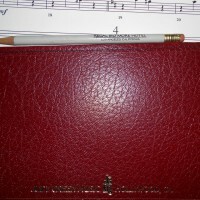 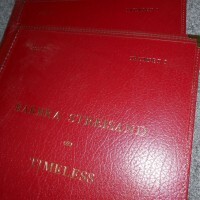 -Leather bound trumpet score folders (2, act l and act ll) containing trumpet score with hand written edits for entire show. 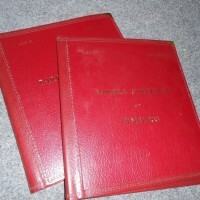 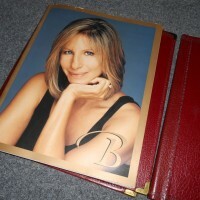 -Large spiral notebook with at least 10 different revisions of the show script. 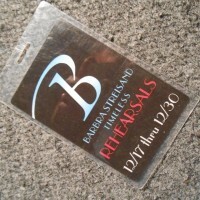 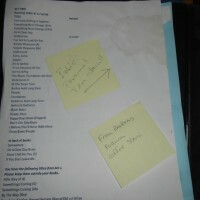 -Streisand’s personal rehearsal set list with stain from her tea cup.